Home > The amazing feeling of having jute products. People around the world are well aware of the fact that cotton is the world’s most popular plant fiber. However, do you know which plant is taking the right second place? You will be shocked to know it’s our beloved jute! For those who don’t know about jute, here comes the fact- jute is a plant fiber, well-known for its use in making burlap, Eco-friendly jute bag or array of jute products. This plants largely grown in India and Bangladesh. Jute plants have properties of textile and wood. Before being spun into threads for Eco- friendly jute bag making or jute products production, this fiber is harvested from the skin of the plant. Jute plant reach maturation within 4-6 months, making it a highly efficient source of renewable material. This helps to supply the need for raw materials to manufacture jute products such as Eco-friendly jute bags, burlap or dresses etc. Seeds are sewn by hand, and plants are grown using few to no pesticides or herbicides. It grows in tropical areas, depending on natural rainfall as opposed to extensive irrigation systems. Jute cultivation enhances soil fertility for future crops. Traditional, manual methods remain used to extract fibres from the great majority of jute crops, so production doesn’t rely heavily on unsustainable energy resources. So in a way, jute products or Eco-friendly jute bags making process helps to restore environmental integrity. Jute is totally biodegradable and recyclable. Given the extensive listing of positives, you’re probably wondering why you haven’t been hearing more about jute products or Eco-friendly jute bag. It will possess some limitations, mostly as a result of fact that it’s stiffer and more brittle than other fabrics. Another reason is that the increasing popularity of synthetic fibres because the 1950s saw a rapid decline in the production and sales of jute products and Eco-friendly jute bag. Now, as environmentally friendly problems associated with the production of many synthetic materials have become apparent, we’re beginning to experience a shift in the opposite direction. Consumer interest in products made from sustainable and recyclable materials is growing, and jute- with its many environmental benefits- is gaining renewed interest as a result. people are finding that its uses extend far beyond carpet bedding, jute products, Eco-friendly jute bags and burlap sacks. If you want to cleanse the environment with your style, there’s no better choice than Eco-friendly jute bag or jute products. If you are looking for more information, contact us now! 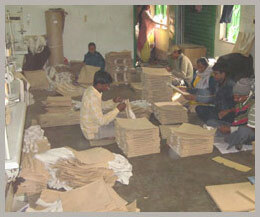 We are ZestTex, one of the best jute bag manufacturer in the world. 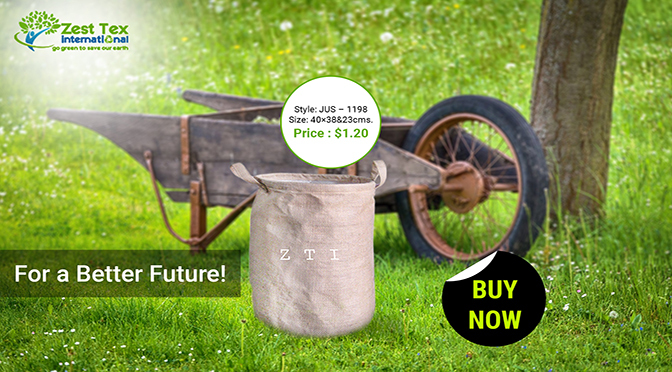 We provide jute products, Eco-friendly jute bag, and cotton canvas tote bags at a reasonable price.